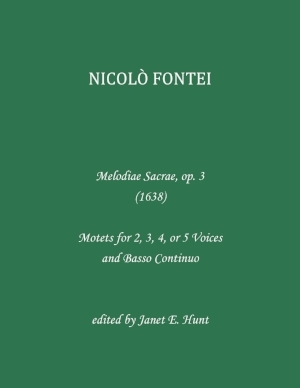 NICOLO FONTEI: MELODIAE SACRAE, Op. 3 (1638). Motets for 2,3,4,or 5 Voices and Basso Continuo. Edited by Janet E. Hunt. 195 pages. $40.00. Now available.